A friend of mine who wrote and directed a musical asked me to design a poster. Like most favors that we designers do for friends, this project came with a very tight deadline–one afternoon. With no provided photography or art of any kind, I decided to go with a typographic approach. 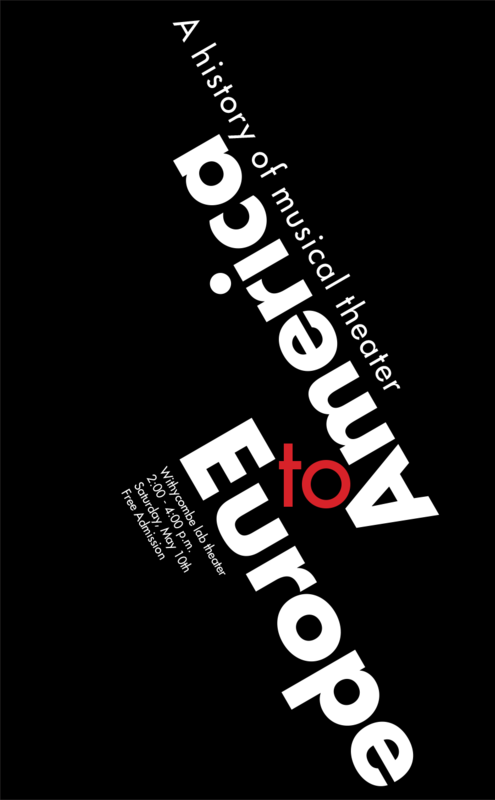 The musical featured two main characters representing American and European musicals, spending much of the performance debating which style is better. This poster simply and powerfully captures that opposition.